Caroline is currently preparing “Don’t Look Back in Anger” by Oasis for her third-ever performance. She’s done Frank Ocean’s “Lost” and the Eagles’ “Hotel California” in the last six months. 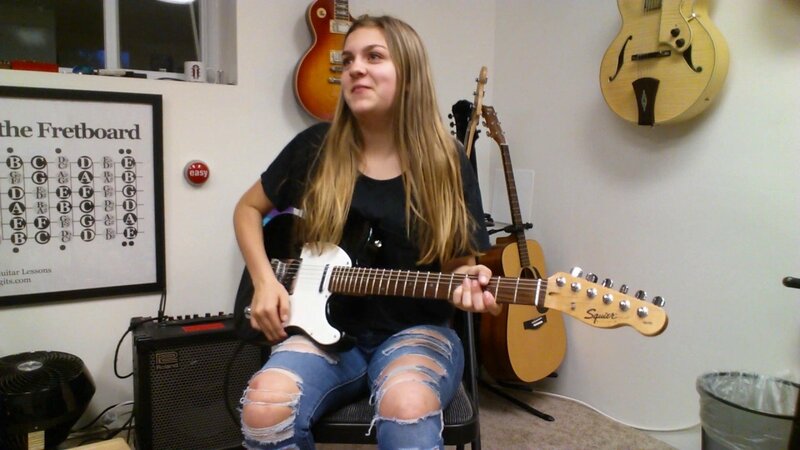 This time, she was in the enviable position of having many songs to choose from, first because she’s learning so many new songs on her own between lessons, and second because all that learning is helping her learn more songs even faster. Caroline is a bunch of fun to have in lessons. We joke around, jam, and escape from the world of homework and exams and social dramas du jour. Here she is playing the intro to A$AP Rocky’s “L$D”.